Why Should You Consider Building an Insulated Garden Office? Working from an insulated garden office instead of a desk crammed somewhere into a room of your house that has originally been dedicated to other purposes, like a bedroom, or a living room certainly has some advantages to you and the quality of work that you can provide as well as to the house and the rooms that will be tidier and less crammed as soon as you have moved into your own garden office. Imagine having a whole beautiful room in the garden for yourself: A desk could be there, an office cupboard, or a shelf to store your files, you could sit on an ergonomically designed office chair, listening to the sounds of nature outside, surrounded by the calm and green scenery of your own garden. No more taking any phone calls for other family members, no more taking deliveries at the main door, no more disturbances from other family members! A whole new room to design specifically to suit you, your work and your business! The gaining of space will give you much more freedom not only on the logistical side, but if your work has anything to do with creativity, working in such an environment will also free up mental space. Even bigger, of course, would an insulated garden office affect you, if you are still commuting to office every day. To make the move into your own garden office, it might need some convincing. Keep in mind that providing office space for their employees is a major cost factor for every company. So with the possibilities of electronic networking, do you really need to be physically present there every day? Investing in a garden room suited to be equipped into a full-grown garden office might just be a good precondition to talk shop with your boss. Can you deliver results maybe much better from a nice spot at your home fully equipped with internet, and a workstation tailored to your needs? 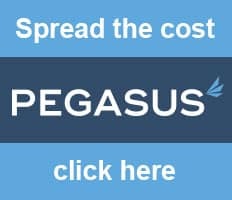 Your boss might see the advantages of having fewer people around in the office, improving his performance, and you will surely enjoy a walk to the office into your own insulated garden office in casual wear more than having to force your way through heavy traffic. Conferences, meetings? Ask your boss if he has ever heard of digital conferences. Highly successful companies like Tesla or Microsoft are running them all the time with their staff working at different places or at home, where they feel good, enjoy the luxuries of home, and unfold their full creativity. What Requirements should a Garden Room Meet to Become an Insulated Garden Office? Basically, you can transform every garden shed into an insulated garden office. That’s how the term “shed working” first came up. This is because it is so easy: You literally only need any old garden shed, a laptop, WiFi, a chair and a desk to start working in many cases. However, after shed working became more and more popular, the choice of specifically designed buildings from manufacturers of garden rooms has also been growing constantly. Nowadays you can expect a wide variety of different choices for your garden office from a small shed of only three square meters to prestigious contemporary styles with floor to roof windows and a large covered terrace for al fresco business dinners. And, of course, we also offer large garden offices, suitable to house up to ten workstations, or a small exhibition, a sales room, or a workshop. Of course, you should expect these garden offices to have double-glazed windows all around, and it might be advisable to look out for wall thicknesses of more than 40mm to ensure not only sturdiness and a long lifespan of your investment, but also to make insulating the garden office easier. From a wall thickness of 40mm up, all our garden rooms will have wall planks with double tongue and groove increasing stability and making the connections between the planks impeccable. Another requirement for a garden office would be for it to look good in your garden. 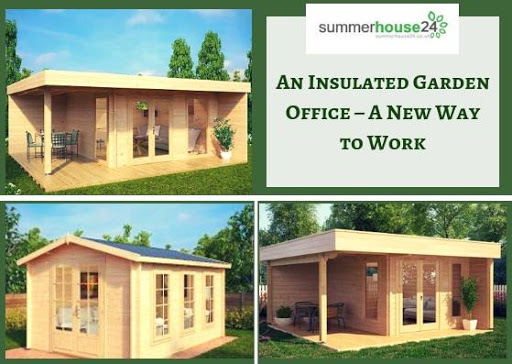 Have a look at our selection of garden offices, and we can ensure you that such a wooden building from natural lightly coloured Northern Spruce is an enrichment for almost every garden not only from the functional side of gaining a lot of space to create a perfect working environment in, but also for the optics and the atmosphere in your garden. An insulated garden office from our portfolio will fit its purpose perfectly and look impressive, too.